IntelBurnTest is a tool that allows the user to benchmark their CPU by stress testing. Typically used by overclockers and general computer enthusiasts to see how well the cooling is in their case, used in conjunction with a temperature monitoring app such as HWiNFO. 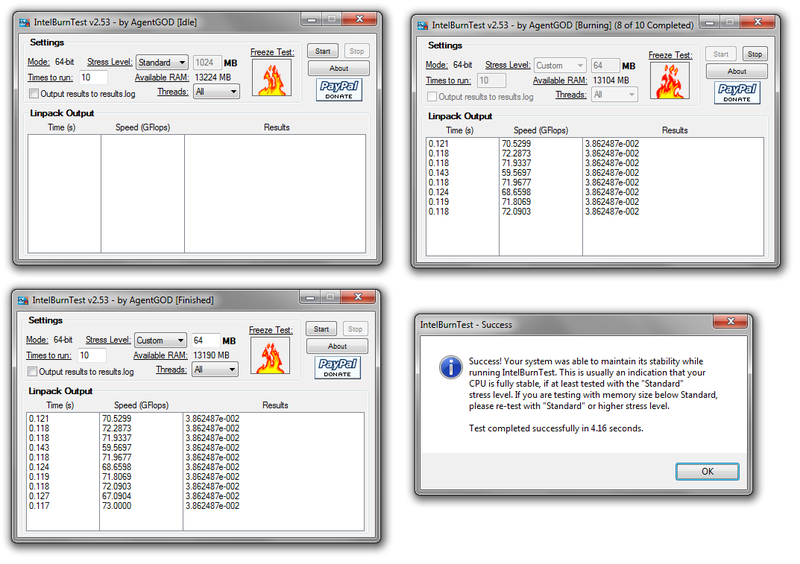 The user can also set how many times the tool is run each session, with the default being 10x. Downloaded the zip from the original forum source, unzipped to a folder, and it seems portable. No folders created in the user data folder, or entries in the registry from my searches. The author has also given some advice to not increase the number of time to benchmark, saying beyond 20x is probably not worth it. Searched, didn't find an existing entry. Might be a good app for the collection. Submitted to the collection. Let me know if I've missed anything. Little bump. Hoping this can be voted up to become visible as it's a useful app for testing CPU temps and stability. AFAIK it doesn't store settings to file or registry. xgamingstudio.com site is dead, can't find that ZIP on archive.org. The entry became visible because I voted for it.